Evanston has an interesting history with alcohol. Even though Prohibition ended in 1933 the city was home to the Woman’s Christian Temperance Union, which was very against allowing alcohol back into the city. Evanston wouldn’t see its first drink poured within the city limits until June 1972. 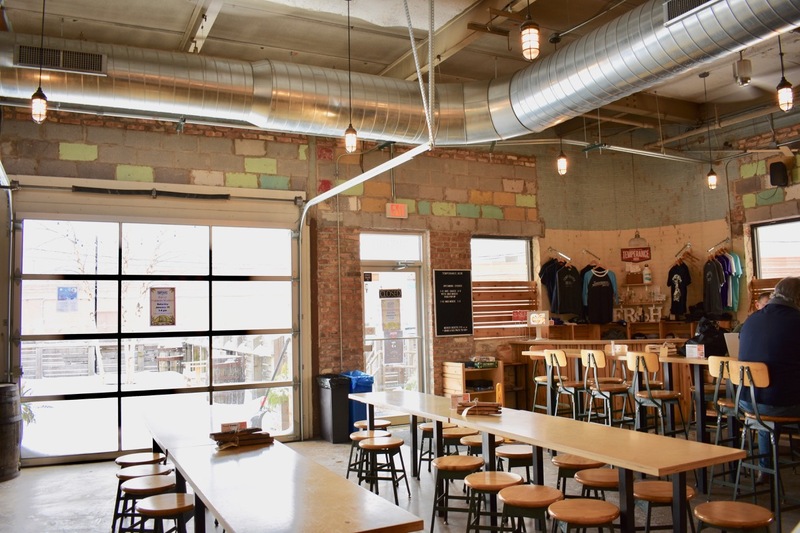 Today, there are four breweries operating within Evanston’s city limits, while some people might tell you three: Smylie Brothers Brewing, Temperance Beer Co. and Sketchbook Brewing, and there’s also Peckish Pig. The small establishment is actually Evanston’s first brewpub, and they have a very small brewing system on-site. Peckish Pig tends to get overlooked, and while we didn’t make it out there this trip, it’s definitely on the list. When you tell people you want to go to Evanston they look at you like you’re planning to go to Antarctica to get some snow in January. Getting to Evanston is actually very easy. The fastest way is to take the Metra. 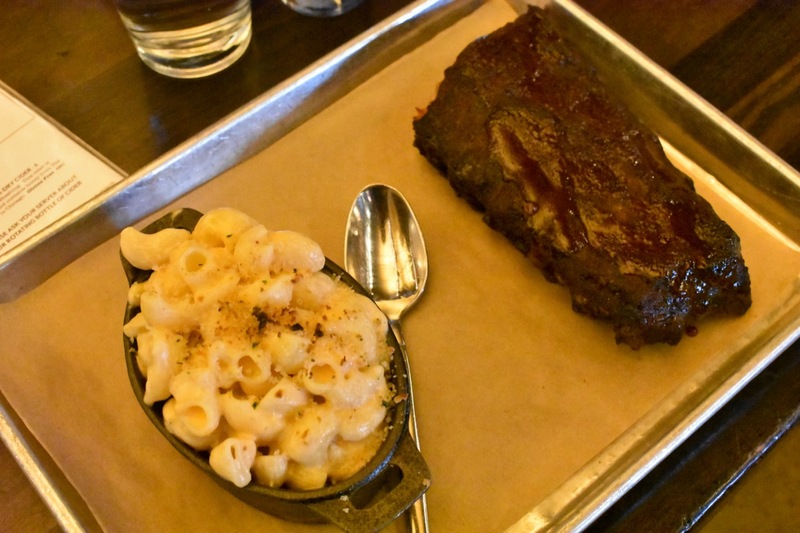 Less than a 25-minute ride from Ogilvie Transportation Center, the Metra drops you off right in downtown Evanston very close to Smylie Bros, Sketchbook and Peckish Pig. If you don’t want to pay the $5.50 for the one-way ticket or don’t want to be tied to a fixed train schedule, you can take the “L,” which means taking the Red Line to the Purple Line, unless you can catch an express train. That trip will take you an hour or potentially longer, depending on where you’re coming from. However, there’s no schedule and the price is half the cost of the Metra. There’s also ride-sharing, which will be the most expensive but direct option. Depending on your exact location the prices vary but, expect each way to be around $25-$30. Now if you split that with some friends it becomes much more reasonable, but with traffic, Metra could actually be faster. 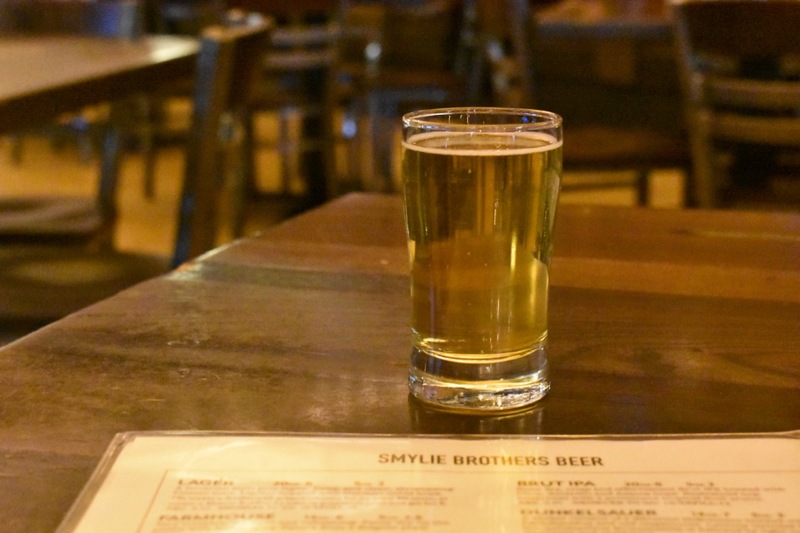 Smylie Brothers was the first stop in our Evanston brewery crawl for one big reason: Of the three breweries we visited, they have a full food menu. 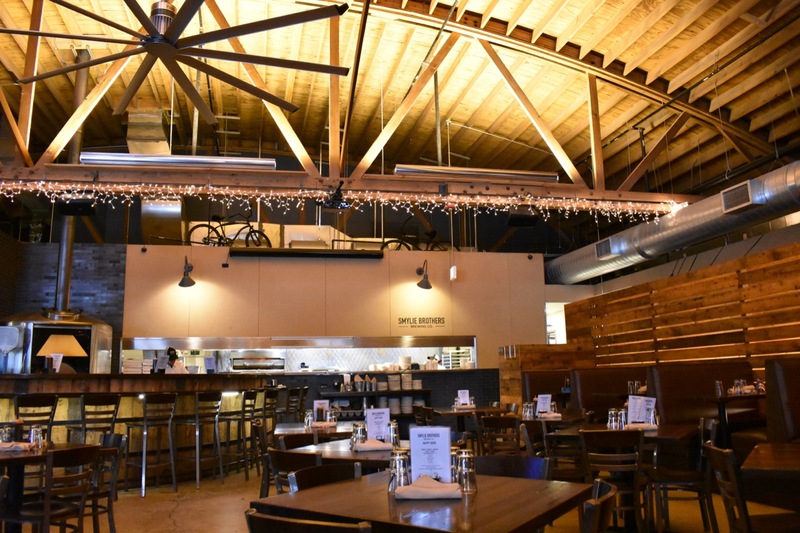 Doing wood-fired pizzas, BBQ and other pub food favorites, there’s plenty to try at the brewery. When you first see the brewery you don’t realize just how big it is. The space is enormous and beautiful with arched ceilings and lots of wood, it’s a very impressive. The brewhouse is behind glass behind the bar and you can look into the kitchen including a good view of the pizza oven with a roaring fire. 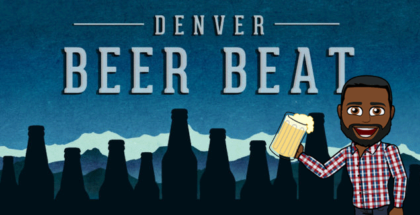 You’ll find a wide variety of classic beer styles including a lager, stouts and IPAs. I tasted a lot (not all) of the beers, but my hands-down favorite was the Mosaic IPA. While not a hazy juice bomb, this beer aggressively features the Mosaic hop, in a good way, that presents a great balance of bitterness and fruity notes. It was one of the best Mosaic IPAs I’ve had in a long time. Their lager was good and the Dunkelsauer was a unique style that I’m not sure I had ever had before. I didn’t know what to expect but I really enjoyed the tartness that gets followed by chocolate and fruit notes. I probably couldn’t drink an entire pint of it, but a taster or half pour would be perfect. 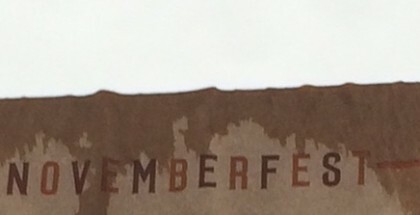 As a certified BBQ judge, I, of course, had to get some ribs. The flavor was spot on, I’d give it a 9 (there’s no 10 in official BBQ judging), but the ribs were slightly overcooked. This is where BBQ judging has ruined me. If ribs fall off the bone, which a lot of people advertise (Smylie does not), the ribs are overcooked. Smylie’s didn’t fall off the bone, but the meat pulled away a bit too easily. I’d give it a 7 on texture in a competition. But going into the intricacies of BBQ judging can be another story. Bottom line, the ribs are great. Enjoy them and don’t get into little details like me. We got to Smylie right as they opened and were the only ones in the space for about two minutes before it quickly filled up. It was impressive to see them start to get busy that early on a Saturday, especially after a significant snowfall earlier in the morning. While not open in the wither months, Smylie has a really nice outdoor space that I definitely will check out in the summer. 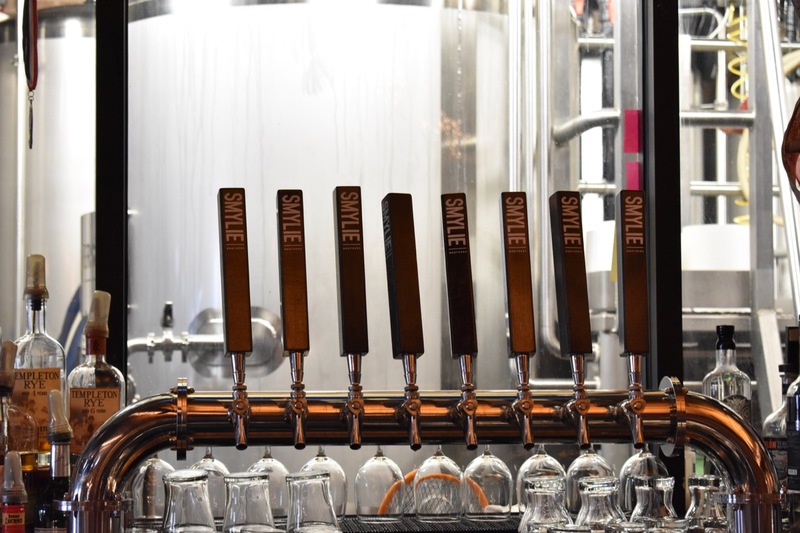 For a nice little date night and something different than the same old same old in Chicago, make the trip up to Evanston and enjoy Smylie for beer and dinner before taking a walk around downtown Evanston. From Smylie Brothers, you can jump on the Purple Line or walk right to Sketchbook. When we went it was cold so we just took a ride-share. It was $7 and took less than 10 minutes. The smallest of the three breweries, although they are planning to expand, Sketchbook is cozy and warm, and I loved the atmosphere. We were the only ones in there for pretty much the whole time, which allowed us to talk to the bartender who knew the craft beer industry well. That’s a small thing that gets overlooked quite a bit. Have a bartender who knows what they are selling and the general landscape of beer of whatever city you’re in. I ordered a flight that included the oatmeal stout, Citra pale ale, Kolsch and then I let the bartender pick their favorite. In this case, it was a rye amber ale that completed by flight. 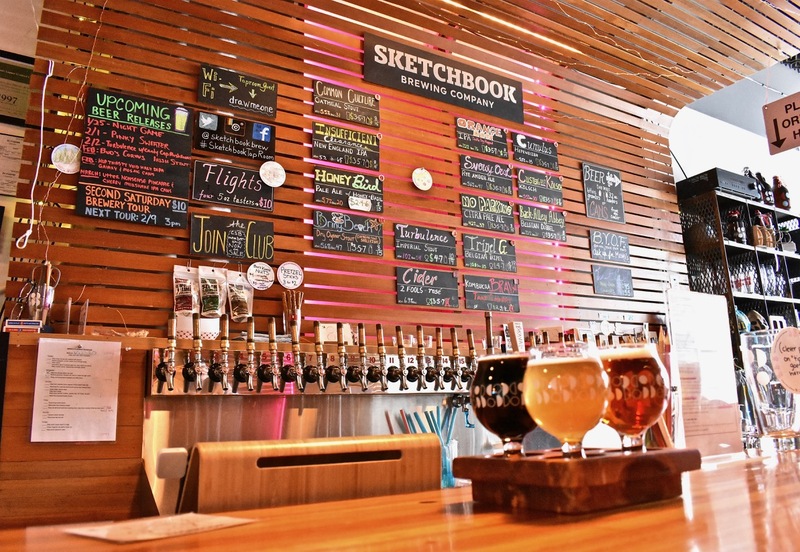 Side note: Sketchbook has some really great hazy IPAs if you’re interested. Since I’m not drinking hazy beers in 2019 I passed, but in the past, I’ve had them and they’re all really good. Everything I had was great and I would recommend any of the beers to anyone. I thought the oatmeal stout was warm and full of flavor. At a low ABV, it was one I could sip by a fire all day. The Citra pale ale really impressed me because for a pale ale I couldn’t believe how much flavor they were able to pack into it. If you’ve been following me on Instagram (@chicagobeer), you’ll know that I’m loving Kolschs so far in 2019. This clean and classic beer style is so inviting to drink anytime. Sketchbook’s was no exception. And the brewer’s pick, Snowy Owl, offered a unique flavor profile I haven’t had in a long time. You get the typical flavors from a red ale of caramel, a little toffee and some dark fruit, but then the rye adds some overarching spice that combines nicely with everything else. Definitely liked the recommendation and could easily get that one again. 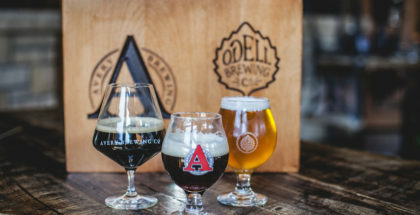 Deriving their name from the Woman’s Christian Temperance Union that was instrumental in keeping alcohol out of Evanston, Temperance is on the west side of the city so you’ll need to take a ride-share out there. It was about 10 minutes from Sketchbook so not far by any means. While a bigger space than Sketchbook, it’s not nearly as large as Smylie. But the first thing I noticed was just how much natural light floods the taproom. Their big barrel-aged stout series, Might Meets Right, is being released February 9. So if you need a reason to head out there, circle that date. 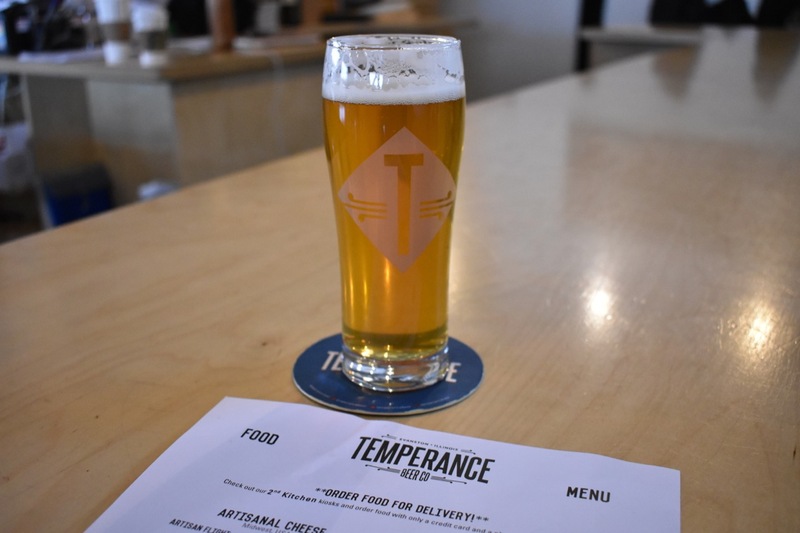 Temperance made a big splash in the craft beer scene in 2016 when their English-style IPA Gatecrasher took gold at GABF. Just two years prior it won silver in the same category. Gatecrasher is a solid beer that I’ve continued to order when I see it on the menu. I ordered a new beer I hadn’t tried before, Loose Affiliation, an IPA described as juicy, but not hazy. The description is accurate. I wouldn’t even call this beer juicy as the bitterness from the hops is really the star. But there are slight undertones of fruit that round the beer out. Like Smylie, Temperance has a great outdoor space that was buried under snow but definitely will be worth a visit come warmer weather. They don’t have a kitchen but you can order bar snacks you, or they have a partnership with 2nd Kitchen so you can order for a few local restaurants. 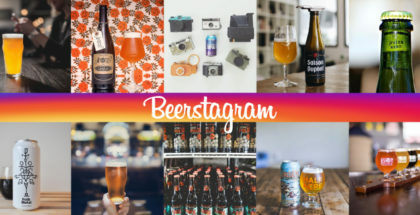 Whether you come to Evanston and stop at all the breweries or hunker down at one for the day, there’s plenty to enjoy. 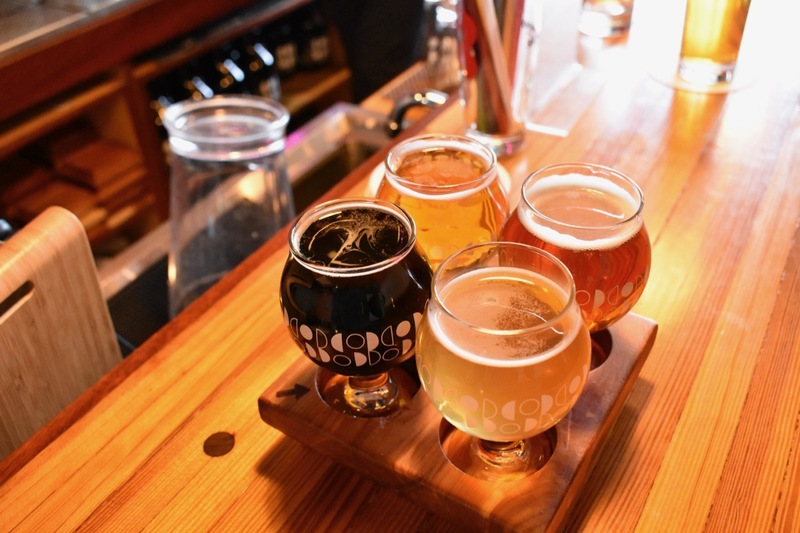 This city’s craft beer scene is doing very well.